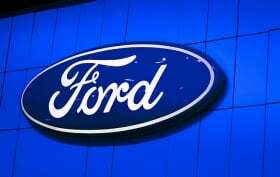 Ford plans to produce around 60,000 cars at its Craiova, Romania-based factory this year and increase output to 105,000 vehicles in 2013, Jan Gisen, manager of the Romanian plant said in Bucharest on Thursday. Production of the B-Max model will begin in June, he said. A second B-segment vehicle will be produced at the facility in the future, Ford said last year. The plant also will begin producing the new fuel-efficient 1.0-liter EcoBoost engine in 2012. Ford bought the former Daewoo manufacturing plant in March 2008, paying 57 million euros to buy the Romanian government's 72.4 percent stake in the factory in Craiova, which is 110km west of Bucharest. The automaker has said it plans to invest over 675 million euros to update the facility.